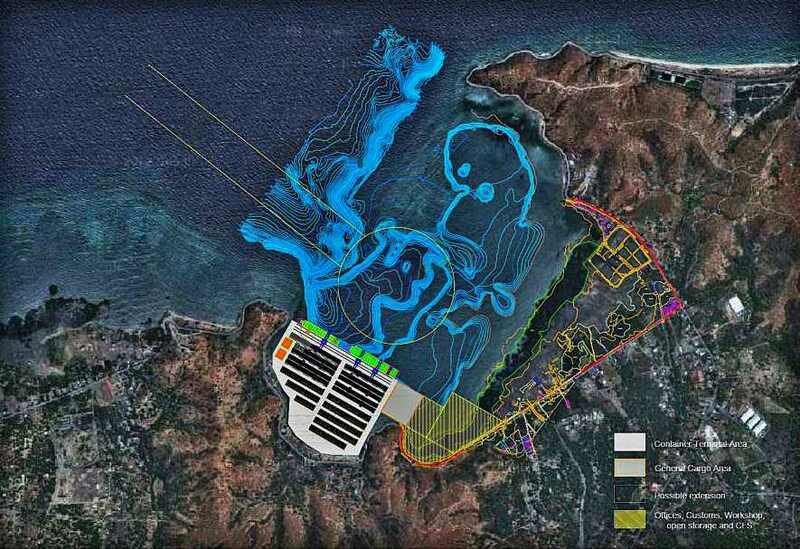 La'o Hamutuk: Is the Tibar container port what Timor-Leste really needs? Is the Tibar container port what Timor-Leste really needs? 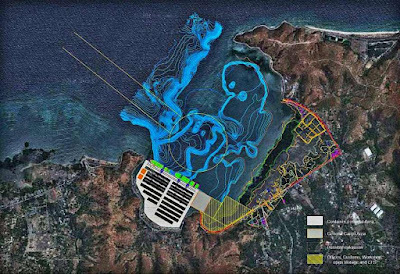 This month, Timor-Leste signed a Public-Private Partnership (PPP) agreement with the French company Bolloré to build and operate a major new container port at Tibar, 15km west of Dili. La’o Hamutuk has analyzed the project in depth, identifying some social and environmental impacts, raising concerns about economic viability and pondering implications for Timor-Leste’s sustainability. This blog summarizes points from our longer article, which is in both English and Tetum. We don’t yet know how much Tibar port will cost the Public Partner, the people of Timor-Leste. The contract promises to pay $129 million to Bolloré up front, but the 2016 State Budget only allocates $94 million over the next five years, and neither figure includes additional spending for roads, project management or unanticipated cost overruns. PPPs all over the world underestimate costs in the planning stages, as promoters often bias their research to justify viability. Just this week, Timor-Leste’s leaders suggested a mid-year increase to the 2016 State Budget to cover some Tibar port costs, notwithstanding that officials knew about them long before the budget was enacted. When this project was conceived four years ago, many thought that Timor-Leste’s non-oil GDP would continue to grow at ‘double-digit’ rates, and that our oil and gas wealth was more valuable than it has turned out to be. However, ‘non-oil’ GDP – which is largely driven by government spending of oil money – has not grown as much as expected; the latest Government figures report growth of 2.8% and 5.9% in 2013 and 2014 respectively. With rapidly falling oil revenues, the Government will have to reduce spending, which is likely slow the growth of non-oil GDP even more. Lower state spending means fewer imports by the government, as well as less money circulating to enable citizens to buy things from overseas. For the last several years, Timor-Leste has imported thirty times as many goods as we exported, so that most containers shipped out are empty and will be so for decades to come. Without other economic activity, this trade deficit cannot continue. The Tibar port design was based on overly optimistic economic projections, and more recent data cast doubt on its rationale. In addition, its traffic will be shared with other new ports planned for Suai, Oecusse, and Baucau. La’o Hamutuk hopes that current evidence and realistic forecasts will underpin decisions about the Tibar project. We believe that longer hours and more efficient operation of Dili port may provide for Timor-Leste’s needs for decades to come. In addition to the impact on State finances, Tibar port subsidizes imported products relative to locally produced ones. Although this may make imports less expensive, local producers – especially farmers – will have to struggle even harder to compete against cheap food products from overseas. Reduced demand for locally-grown produce could discourage Timorese farmers from growing food, hurting productivity, the economy, food sovereignty and nutrition. By the time Timor-Leste’s Petroleum Fund runs out (which could be as soon as 2025), many fields may be unused. Without money to purchase imported food, people will starve. Therefore, the port will make Timor-Leste even more dependent on overseas products, at a time when we should be increasing local production to ensure non-oil economic sustainability. It will also take over local people’s land, destroy their livelihoods, and divert Government resources away from basic services for ordinary people. 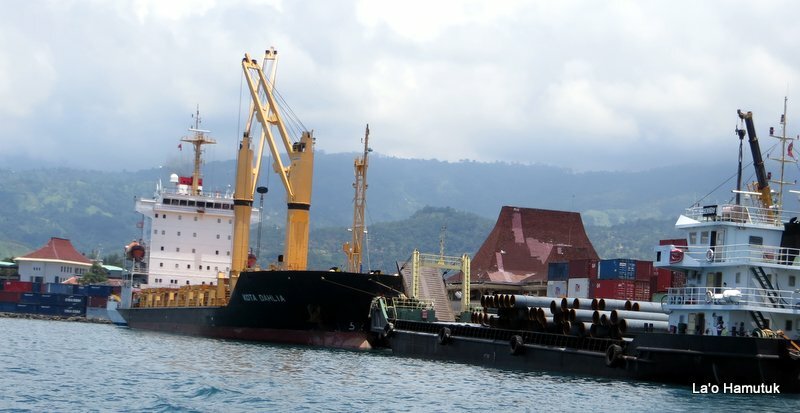 Instead of spending hundreds of millions of dollars on this new port, La’o Hamutuk urges policy-makers to seriously analyze Timor-Leste’s long-term shipping requirements to see if they can be met by operating the existing port in Dili 24/7 while controlling corruption, improving its management, and enhancing its workers’ skills and numbers. In that way, Timor-Leste would save money, protect vulnerable people and address public needs, allowing us to focus on building the domestic economy to provide a sustainable future for all of Timor-Leste’s people. Our longer article, which will be updated as the project evolves, includes many more graphics, links, documents and articles from a wide variety of sources. The title is grammatically wrong. It is in passive voice, hence "needs" should be written "needed".